This Talented Lady blew up a few weeks ago for a masterful dress version of Rainbow Dash! Today we go in depth the the cosplayer Sunset Dragon! 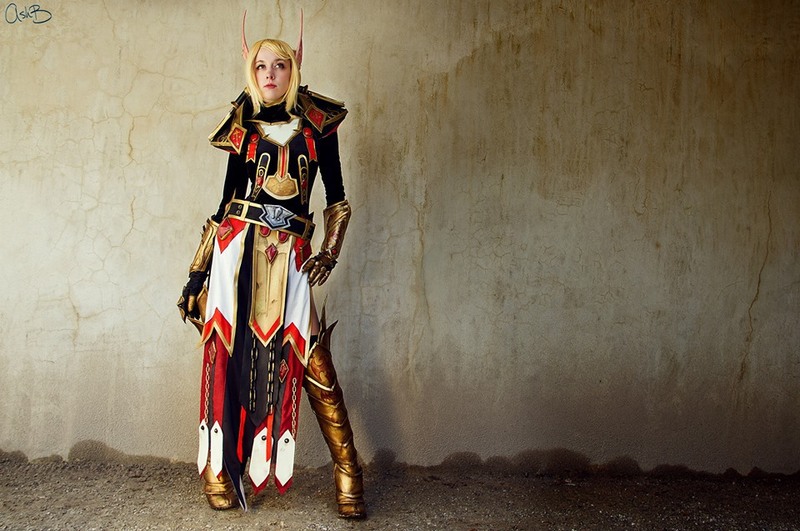 Photos in article by: Ash B.
Andy: What was the first convention you went to? What made you go to that convention? What was a memorable moment for you from that convention? Sunset Dragon: Otakon. I can’t remember the year, but I want to say 2005. One of my close friends at the time was into Sailor Moon like I was and told me I just had to go with her on Sunday. Seeing all the people in costume around me! I knew I wanted to go back next year for all three days. I also remember hunting down a Ryo-ohki backpack in the Dealers Room. I just had to have it. Andy Your version of Rainbow Dash got quite a bit of positive attention from places like reddit and Cheezburg. Does it make you feel accomplished to be recognized for your work? SD: It feels a little weird. I’m very happy that the costume is receiving positive feedback and people like the costume. People also need to remember that a real person is reading their comments. If you wouldn’t say it to a person’s face, don’t say it on the internet. It is nice that original designs and inspirational designs get nice attention from time to time as well! Andy: What was the process like for construct that dress? How did you plan out all those extraordinary details for your dress? Where did you get those fabulous shoes? I’m an artist by trade, so re-imagining the gala gowns in my style was a fun project for me. A few friends and I decided to cosplay them together. The armor is a material called worbla, and something that I think Rainbow would appreciate. I tried to keep it not too fussy to match Rainbow’s personality, but still glam it up a bit to match the other girls. The shoes are just from Ebay. Andy: What did making the Rainbow Dash dress mean to you? SD: I love the new My Little Pony. I love how all of my friends can relate to a certain pony, and I can see them all when I watch the show. It’s such a fun, and beautifully art directed, tv show that I really think all ages can enjoy. I’ve cosplayed Rainbow Dash before and I wanted to do a more glamorous version for fun with my pony loving best friends. Andy: Why Rainbow Dash out of all the ponies in My little pony? SD: I love Rainbow’s character. She’s spunky, confident and does anything for her friends. I aspire to be like her in the ways that I am not. Over the years I’ve gained a lot more confidence in myself and what I represent as a person. I’ve always stood up and by my friends and I want them to do the same for me, so I love that about Rainbow Dash. Plus-her colors are amazing, and I’m all about good colors. Andy: You have recently done a Merida cosplay from the movie Brave, what drew you to cosplay as Merida? Which Disney Princess wins in a battle Merida or Pocahontas? 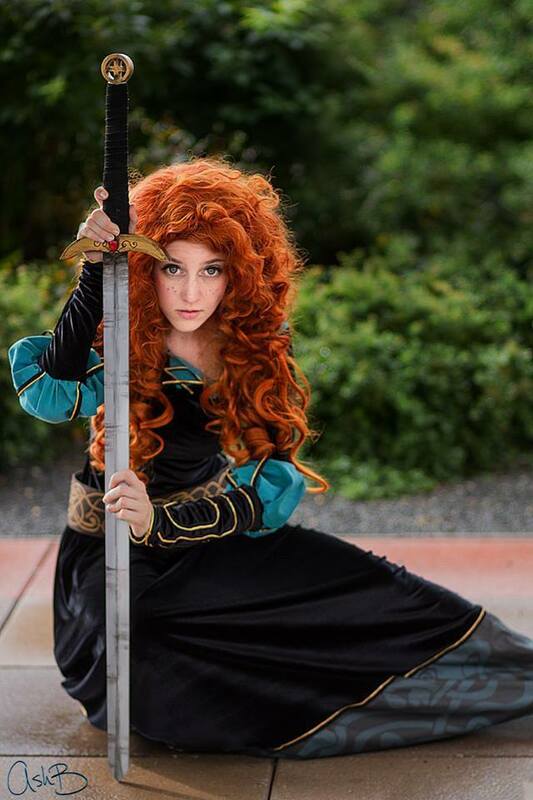 Do you think Disney needs to make more princesses like Merida or like Cinderella? SD: I’ve done a few versions of Merida, and I love cosplaying her. She’s again, a feisty and strong willed character that I can relate to. I also love all things Celtic inspired, so the movie very inspiring for me. Merida vs Pocahontas? I’m not sure, I think Pocahontas could run faster but maybe Merida’s arrows would fly just as fast! I definitely think Disney should aspire to create less cookie cutter princesses and go more towards the quirky like they did with Merida. She’s spunky but she can still be a girl when she wants to, and that’s what I love about her. It’s also why I don’t mind glamm=ing up Rainbow Dash sometimes. They are girls, and don’t have to be anti girl all the time. It’s nice to embrace all aspects of one’s character. Andy: What is your go to Disney Movie? Why? SD: My go to Disney movie would probably be the Lion King. I think I can say all the words from that whole movie. I’ve always loved animals, and the Lion King is just beautifully done. The broadway play is awesome too. Andy: How does your real life job bleed over into your costuming? SD: My day job is an artist/concept designer, so I think we can see where the overlaps are. I love painting armor just as much as I love painting in photoshop. I love designing parts of a cosplay and even full on original outfits, and I enjoy taking my concept art skills into costuming to create nice designs and alterations. Shape and composition are also important parts that I consider when I design my cosplay outfits for my body. SD: I will be vending under SunsetDragon at Baltimore Comic Con, Small Press Expo, TigerCon, and Nekocon for the remainder of this year. Next year I’ll definitely be cosplaying at Katsucon and Colossalcon.